Metalhammer has described them as “An astonishing cocktail of punk energy, post-rock weight and ambience, melancholic metal despondency and the occasional flash of Emperor’s ferocity”. We don’t actually understand exactly what that means, but it sounds cool. All we know is that Kontinuum have a fresh single out now on their YouTube channel called Í Huldusal. And it’s a great example of classic quality rock in a retro style. Heavy, melodic and sung in Icelandic. Quit simply a power ballad that grows with every listening. The single is from the band’s upcoming new album, whose title and release date are still unknown. Kontinuum’s previous album, Earth Blood Magic, was released in 2012 and was widely praised by critics. Valdimar is a true gem of a band. They have released two albums, both very successful on Iceland. Besides producing elegant, melodic, spacey and dramatic music, the band’s prime asset is singer Valdimar Guðmundsson’s gentle, sincere and soulful voice. Valdimar’s music is simply soothing to listen to. And if you haven’t listened to their music – don’t miss to check them out. Every track is worth your time. Promise. This morning Validimar released a new single on Icelandic radio called Læt það duga. They also made an English version named Good Enough for Now. Click and listen below. Nice, isn’t it? That’s more than good enough boys! Songwriter, singer and musician Biggi Hilmars blends many genres – classical, ambient and some electronic – to create his own personal soundscape. His compositions has been featured in film trailers, commercials, plays and television series. Spegilmynd (Mirror) is Biggi Hilmars new single and the first in his native language. It was written together with his girlfriend María Kjartans, who also did the cover artwork. Recorded in five different studios between Reykjavik, Los Angeles and London, it’s been the longest song in progress that he has ever created. The sound is big with a full orchestra playing intense and bombastic. Icelandic film maker Bara Brandsdottir has made a short documentary on a few Icelandic artists including Biggi Hilmars; which gives an insight into his everyday life, his music creations, background and inspirations. The experimental rap group Death Grips from California have released an entire new record featuring Björk on all eight tracks. Her voice seems to be sampled and mostly provides color to the background. We must admit though, that this isn’t our cup of tea. The whole thing sounds messy, like the band is playing two hip hop tracks at the same time. Confusing, dark and nightmarish. But who knows, maybe it grows after a few more listenings. The second half of the record, jenny death, will be released later this year. 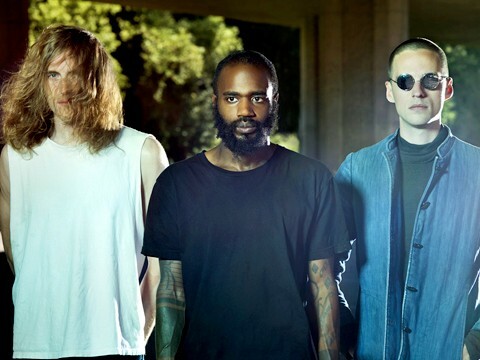 Death Grips embark on a US tour with Nine Inch Nails and Soundgarden in July. Listen to part one below, or download it here. Verslunarmannahelgi (Shopkeeper’s holiday) in August is the one of the biggest travel weekends of the year. Many Icelanders take advantage of the extra free day given on Monday and visit their cabin in the country-side, spend the days with their family or visit a festival. Vestmannaeyjar (The Westman Islands) are famed in Iceland for their major annual festival, Þjóðhátíð (National Festival), which attracts thousands of people. The festival was originally held in 1874 when the inhabitants were unable, due to bad weather, to attend the celebration of Iceland’s first constitution. Instead, they held their own party, which has been reprised every year since and has become the country’s biggest outdoor festival. Locals and guests gather in Herjólfsdalur valley on the island of Heimaey, for four days of various events, most prominently big stage concerts, bonfires, fireworks shows and the festival’s signature Sunday night crowd singing. The crowd singing is the single event of the weekend which draws the most attendees. Approximately 15,000-20,000 people attend the festival every year. Jón Jónsson is signed to Epic Records, owned by Sony Music Entertainment. He was discovered by Bryant Reid, responsible for finding the Grammy award winning artist Usher amongst others. His music is a mixture of pop, bluesy background, and soulful acoustic guitar. Jónsson´s first four singles were in the top 30 on Iceland music charts and his songs are heard in regular rotation on radio. Most of them have reached top 10 on radio as well as the Icelandic Billboard. Guess what? We predict that this one also is going to join the ranks of successful Jón Jónsson singles! The first new track from hip-hoppers Quarashi in ten years*. Heavy, groovy and funky. Listen and enjoy mother%#&ers! 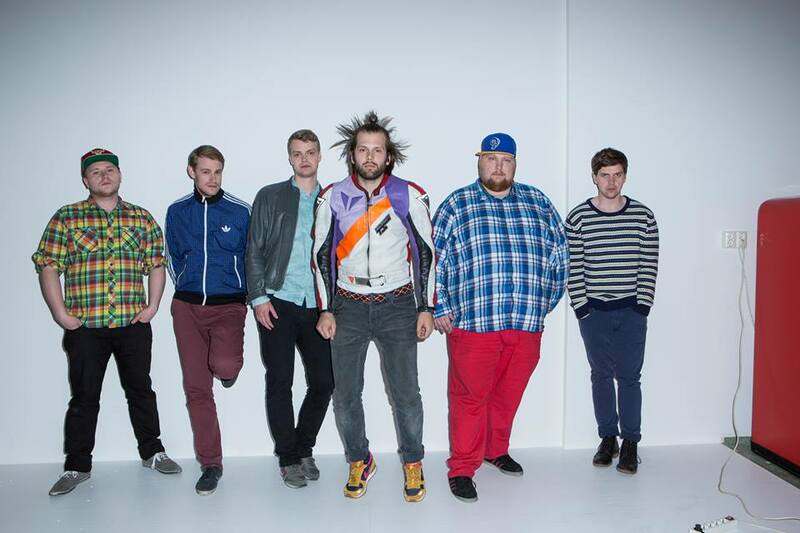 *Quarashi is a rap and hip-hop group from Reykjavík that was founded in 1996 and played together until 2005. They sold about 400,000 albums worldwide and worked with artists like Cypress Hill, Eminem, Weezer and Prodigy. All original members will be performing at the Þjóðhátið music festival in Vestmannaeyjar in August, but say that the band is not getting back together. 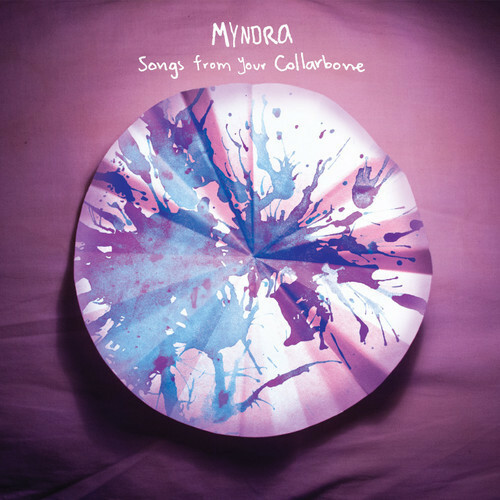 Formed in the streets of Reykjavik, Myndra is the meeting of Icelandic singer-songwriter Linus Orri, multi-instrumentalist Antoine Létourneau-Berger and violinist Raphael Arsenault. Linus Orri met his Canadian bandmates in Iceland when they stayed at his home as coach surfers. They have recorded their music in Antoine’s and Raphael’s hometown Rimourski, a small touristic city in the french-speaking Canadian province Quebec. The result is intimate, mellow and atmospheric songs with folk impulses.